One of my previous customers that had me vinyl wrap the roof on his 335i E92 sold his car and got a new car. 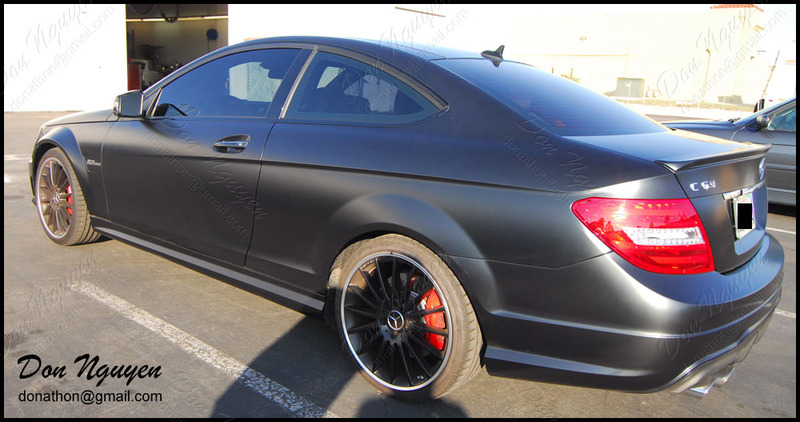 He purchased the new limited edition matte black C63 coupe from Mercedes. Everything looked good on the car, except for the chrome window trim that blatantly stood out, especially against the matte black paint on the rest of the car. 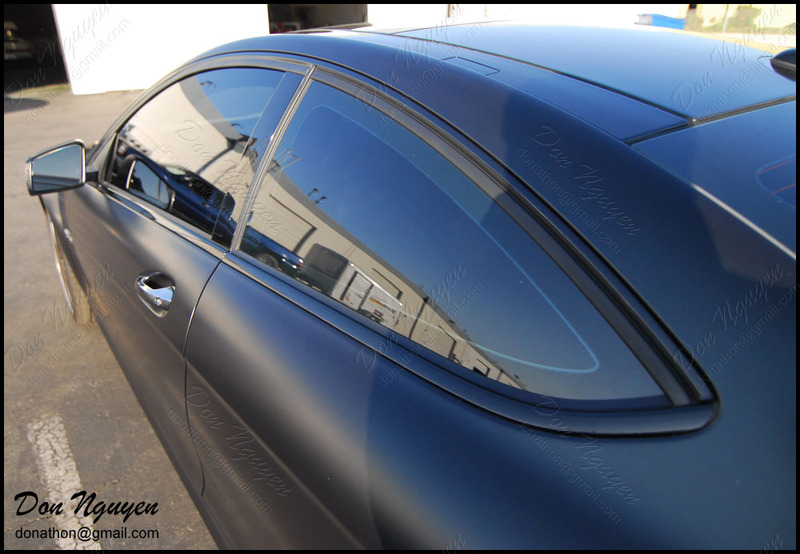 It's not often that I get a matte black car that comes in to have their window trim vinyl wrapped. He decided to go with gloss black for the window trim, to give it some contrast still, and I think it turned out great.